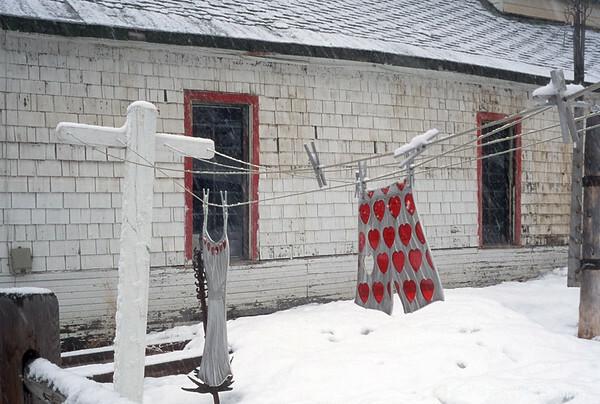 Boxer shorts and nightgown grace the outdoor clothes line on a snowy Vanentines Day. 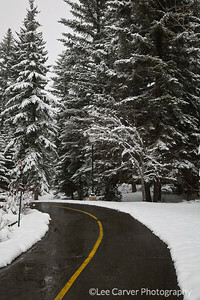 Snow Covered Roads near Redcliff, CO. 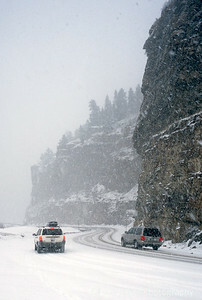 Snow Storm creates hasardous driving on Hwy 24 near Red Cliff, Co. 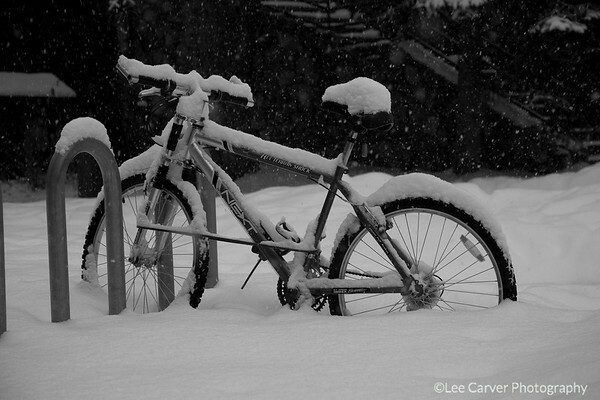 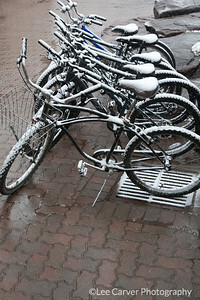 Bicycle contrasts with heavy snowfall. 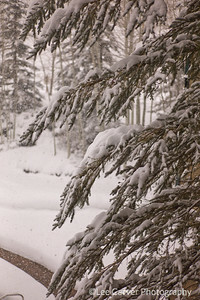 A late spring snowfall brightens the landscape and hides the dirt of the roads. 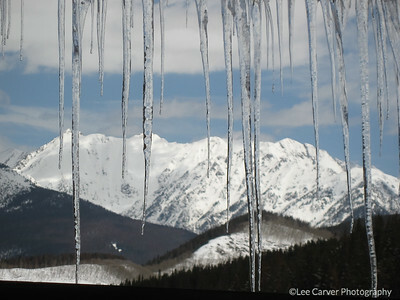 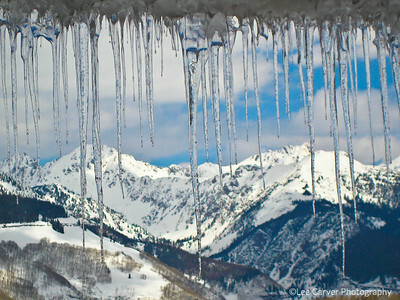 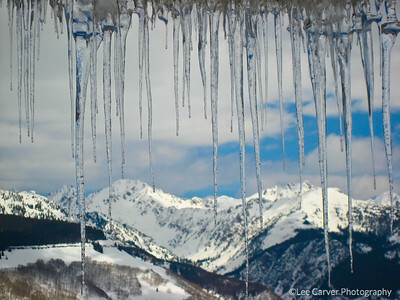 Icecicles add a feeling of cold beauty to an already beautiful mountain scene. 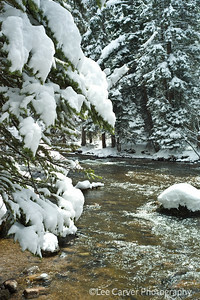 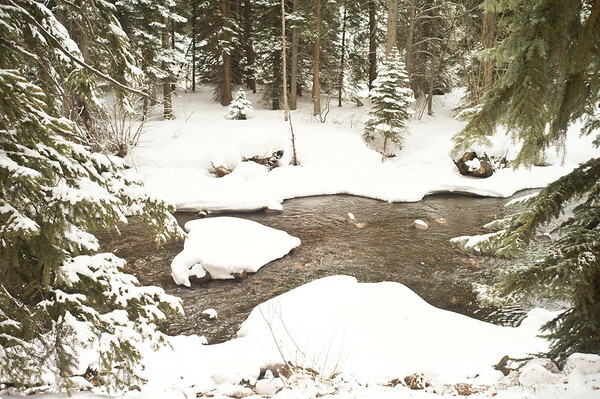 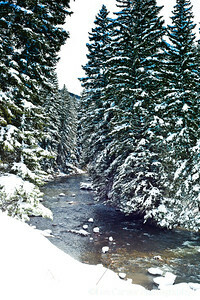 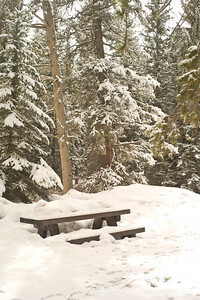 Snow storm on Gore Creek. 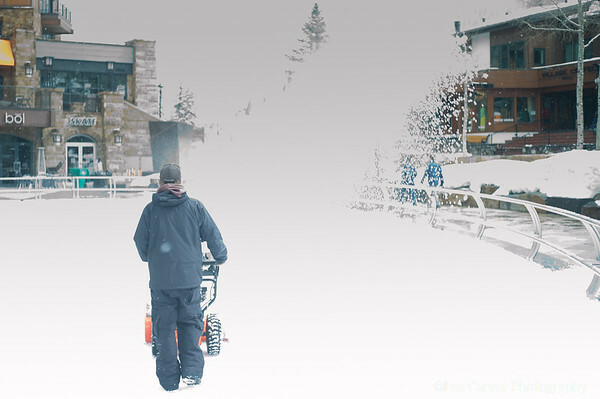 Snowblower at work cleaning ice rink in Vail.